WELL Spa + Salon offers the best salon services in Lake Geneva, Wisconsin. 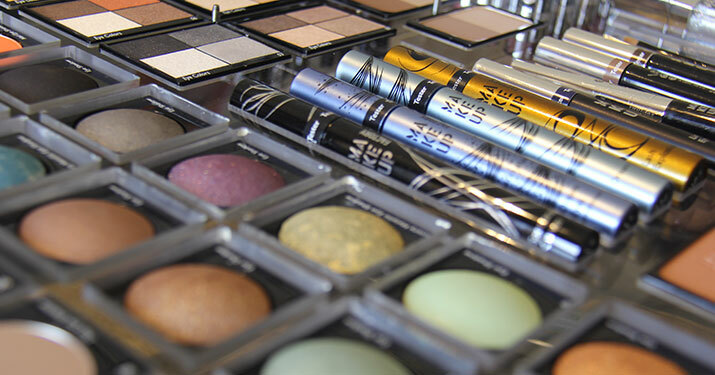 We partner with leading companies in the beauty industry to bring you high-end hair and makeup products. With professional delivery fitted for your comfort, we transform your salon experience into a memorable one. 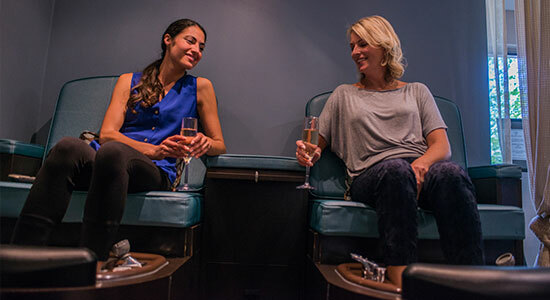 Whether you're getting a manicure or fresh hair cut for summer, get the most out of the time you're taking for yourself and soak up the relaxing atmosphere at our spa. Elevate those every day experiences and treat yourself to the best! Our manicure and pedicure treatments now feature Deborah Lippmann nail color and treatment. The celebrity manicurist's polish lasts longer and her skin treatments make your skin glow brighter. Her gel lab pro line is known for being a healthy alternative to gel manicures, without the lamps and tools other long-lasting manicures require. Our nail technicians will take care of your cuticles using her award-winning cream, The Cure, and leave your nails with a coat of color that will last! Don’t have the time to enjoy our full manicure? Then try this mini service. It includes nail and cuticle care followed by a polish color of your choice to finish. French tip polish not available for this service. Want to pamper your hands? Our service includes a Marshmallow sugar scrub to invigorate and exfoliate. Your cuticles are then groomed, followed by a soothing massage with our Deborah Lippmann SPF blended lotion. 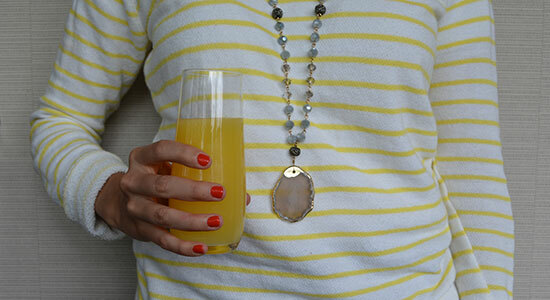 To finish, nails will be polished with your choice of color. If you're planning on spending time in the pool or are on-the-go and have no available “dry time,” then Shellac is for you. It's gentle on your nails, dries quickly and can last up to two weeks or beyond. Wide selection of colors available. Using the latest scientific research, we bring you a luxurious line of anti-aging nail services to enhance our signature WELL Spa Manicure and Pedicure with visible and lasting results. Our team of certified technicians help determine if your skin needs repair, lifting or lightening. Professional grade serums and masks help rehydrate your skin to keep you more healthy and youthful! Don’t have the time to enjoy our full pedicure? 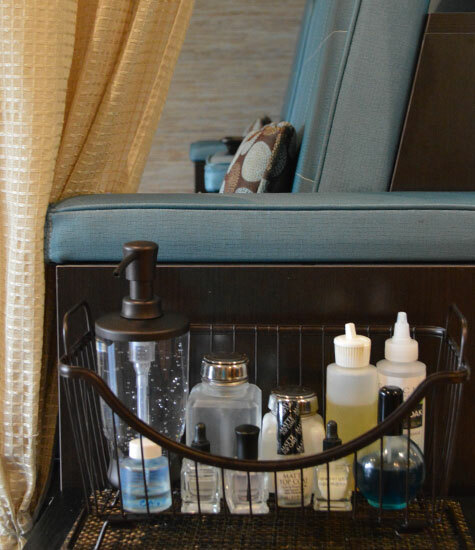 This mini service includes a light therapeutic soak, nail and cuticle care and a short soothing massage followed by a polish color of your choice to finish. French tip polish not available for this service. Want to pamper your feet? Our service includes a self heating scrub to invigorate and exfoliate. Your cuticles are then groomed, followed by a soothing massage with our Deborah Lippman Steppin' Out lotion. To finish, nails will be polished with your choice of color. This is not your ordinary pedicure. Come sip on an Exclusive Wisconsin Spotted Cow beer, while you soak your feet in a bath of citrus and hops. Next, we will brighten your skin's appearance with a burst of pink grapefruit and warm amber scrub. Tap off your pedicure with a knee to toe massage with honey and kaffir lime lotion. For non-drinkers and those under 21, Sprecher Root Beer is available as a substitute. Relax your mood and detox your system with this foot soak and massage. You will first soak your feet in a warm herbal bath designed to relieve your body of impurities. Next you will enjoy a somatology massage on your legs and feet. Pedicure is not included, but can be booked together. 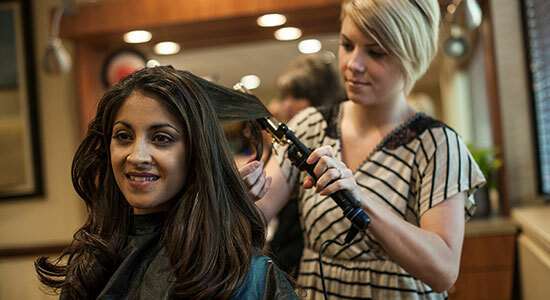 Feel great about the way you look after a blowout from our new menu of styles. Our professional hair stylists will transform your hairdo into soft straight sheets, creative twisty braids or wonderful waves. Pick a style from our lookbook after your cut and color or massage and leave the spa looking as good as you feel. 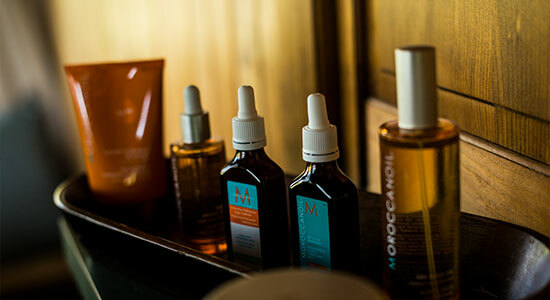 Our scalp treatment includes a clarifying shampoo with a customized MoroccanOil® treatment based on your hair and scalp needs. 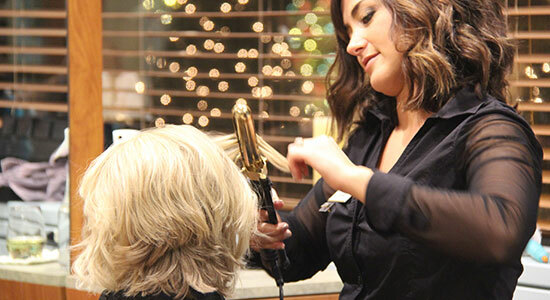 We will relax you with a scalp and neck massage and finish your service with a blow dry and style. Primp for your special occasion with Make Up Factory premier professional makeup services. This high-end line is only found in the top spas around the country. Our certified makeup artists are all trained by celebrity makeup artist Lindsay Ebbin. Make Up Factory products were developed for women with professional standards and our salon is pleased to offer their services to guests. Next time you go for a spa day, get a touch up after your massage and facial. Our salon can fix your hair and makeup in no time, leaving you looking like you’re at the top of your game. A service charge of 20% will be added to all spa services. Massages are for 13 years and older. For guests under the age of 16, a parent or legal guardian must be present in the room at the time of the massage. You may schedule a side-by-side or duo massage, or you may quietly observe from a stool in the corner of the room. For children under the age of 18, a parent or legal guardian must fill out the Health Release form as well as a Child Service Waiver. Forms are available online. Parent or guardian is requested to remain at WELL Spa for the duration of the service. You are welcome to enjoy a service yourself or take advantage of our amenities while you wait. The main locker room facilities, which include the sauna, steam and whirlpool, are only available to guests 18 and over. LOOKING FOR massages, facials and body treatments? VISIT spa SERVICES.